creation of the Society's definition of English-language haiku. stirring up lively discussions about senryu. Ontario: Black Moss Press, 1983); work selected for William J. 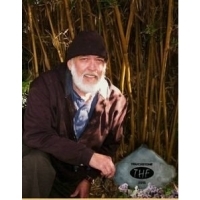 Touchstone Award for Individual Poem (The Haiku Foundation, 2016). Sketches from the San Joaquin (Turtle Light Press, 2008). Credits: "not green itself" - Roadrunner 4 (2005); "the candle" - Tundra 2 (2001); Stylus Poetry Journal 10 (2004); "spring dream" - The Heron's Nest XVII:3 (2015); The 2015 Touchstone Award for Individual Poem (The Haiku Foundation, 2016); "sea mist" - The Heron's Nest 2:4 (April 2000); Stylus Poetry Journal 10 (2004); "boning" - William J. Higginson, Haiku World: An International Poetry Almanac (Kodansha International, 1996); "a poppy" - Haiku Magazine 5:1 (1971); McClintock, Maya (1976); Cor van den Heuvel [editor], The Haiku Anthology (Anchor Press/ Doubleday, 1974); Cor van den Heuvel [editor], The Haiku Anthology (Simon & Schuster, 1986); Cor van den Heuvel [editor], The Haiku Anthology (W.W. Norton, 1999); Frogpond 24:2 (2001); World Haiku Association Web site (2002); Modern Haiku 34:1 (2003); Raku Teapot Haiku (Raku Teapot Press, 2003); "60 stories" - McClintock, Light Run (Shiloh, 1971); New World Haiku 1:1; New World Haiku 1:2 (1973); McClintock, Maya (1976); Frogpond 3:2 (May 1980); A Haiku Path: The Haiku Society of America 1968-1988 (Haiku Society of America, Inc., 1994); World Haiku Association Web site (October 2002); Stylus Poetry Journal 10 (2004); "hefting a plum" - Frogpond 25:2 (2002); Raku Teapot Haiku (Raku Teapot Press, 2003); Frogpond 26:3 (2003); Contemporary Haibun 4; Edge of Light: The Red Moon Anthology of English-Language Haiku 2003 (Red Moon Press, 2004); "visiting graves" - Blithe Spirit 11:2 (2001); Raku Teapot Haiku (Raku Teapot Press, 2003); Stylus Poetry Journal 10 (2004); "little inn" - Editors' Choice, The Heron's Nest Award, The Heron's Nest 8:3 (2006); Second Runner-up, The Heron's Nest Reader's Choice Award (2007). Additional Reading: More information is available in "Contemporary English-language Haiku and the Long View", an interview with Michael McClintock by Janice Bostok, published in Stylus Poetry Journal in 2002. "Wheeling through the Cedars: An Interview with Michael McClintock" by Jeffrey Woodward, published in Haibun Today: A Quarterly Journal, Volume 5, Number 3 (September 2011). Sources Biography: A Haiku Path: The Haiku Society of America 1968-1988 (Haiku Society of America, Inc., 1994); Cor van den Heuvel [editor], The Haiku Anthology (Anchor Press/ Doubleday, 1974); "Millikin University Haiku Writer Profile" by Adria Neapolitan (online).